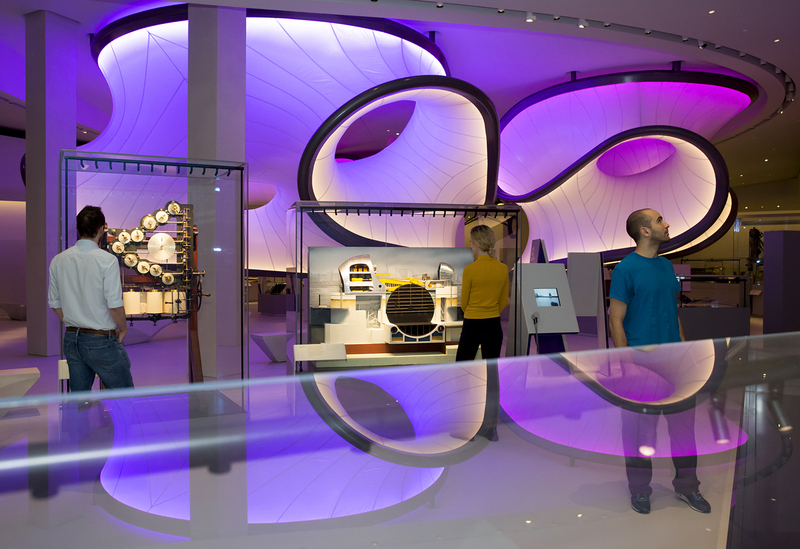 Surfaceform – Zaha Hadid & The Mathematics Gallery – Need we say more! 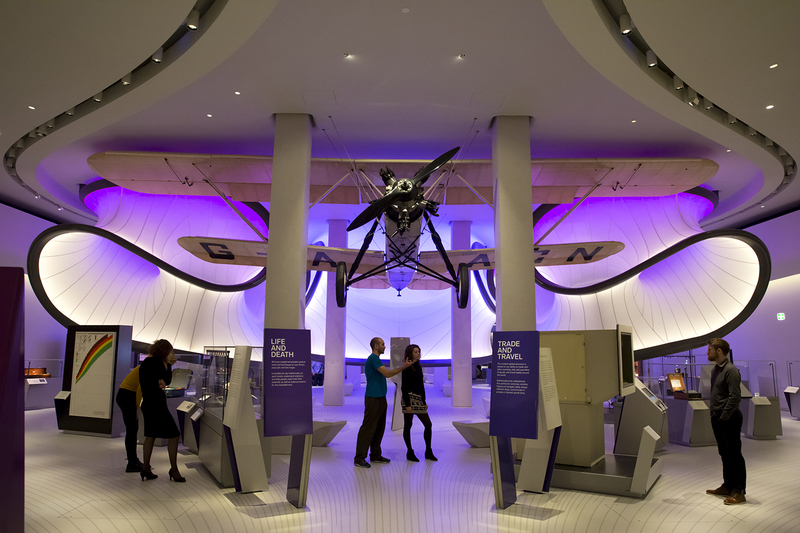 This day last week saw the opening of the Mathematics Gallery, part of London’s Science Museum, which Surfaceform had the pleasure of working on. The Winton Gallery is the first permanent public museum exhibition designed by Zaha Hadid Architects anywhere in the world. The gallery is also the first of Zaha Hadid Architects’ projects to open in the UK since Dame Zaha Hadid’s sudden death in March 2016. This was both an exciting and challenging project, which entailed applying Surfaceforms Semi- Polished Concrete to columns situated around an already in-situ priceless artefact. 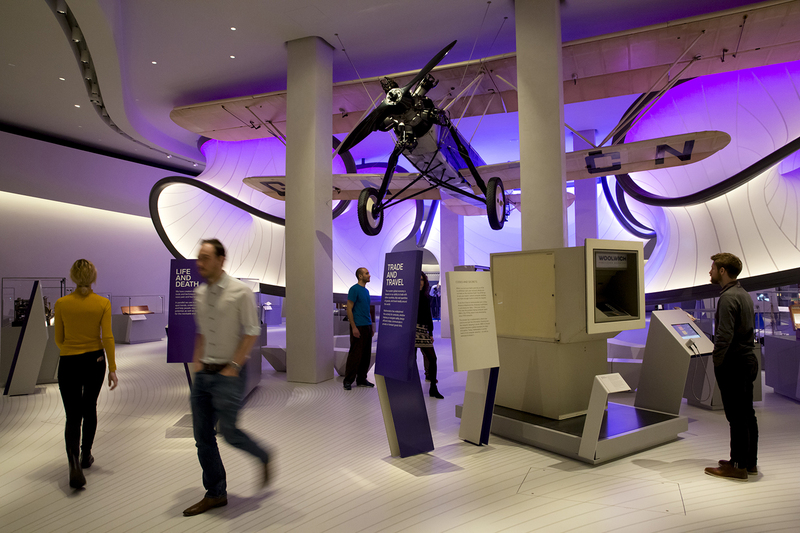 Positioned at the centre of the gallery is the Handley Page ‘Gugnunc’ aeroplane, built in 1929 for a competition to construct safe aircraft. Ground-breaking aerodynamic research influenced the wing design of this experimental aeroplane, helping to shift public opinion about the safety of flying and to secure the future of the aviation. Surfaceforms experienced craftsmen and installers worked carefully around the in-situ plane to produce a stunning finish on the columns, which frames and compliments the plane perfectly. For more information on Surfaceform products & finishes for use within your project Contact Us today!